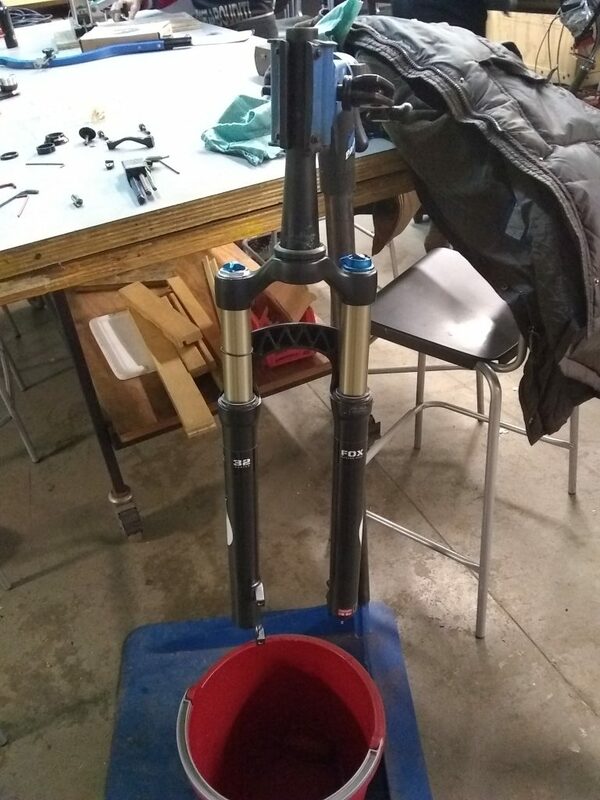 One of our staff did an oil change for their fork at SBK the other week. 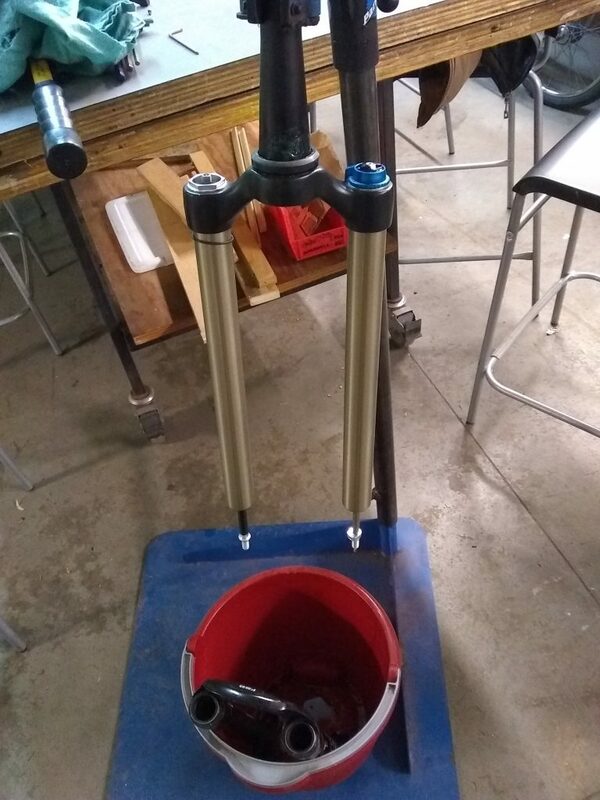 Here are some shots of the process. 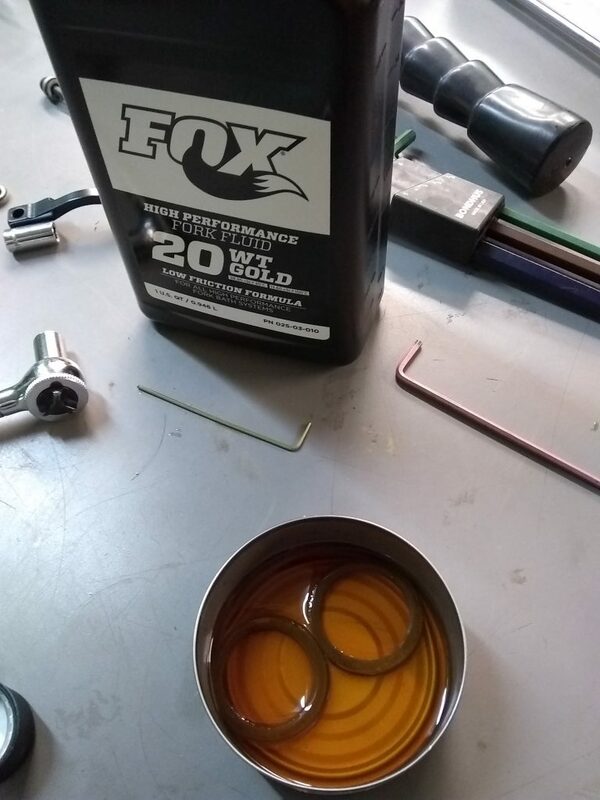 Nothing like some clean fork oil to keep your suspension parts supple!